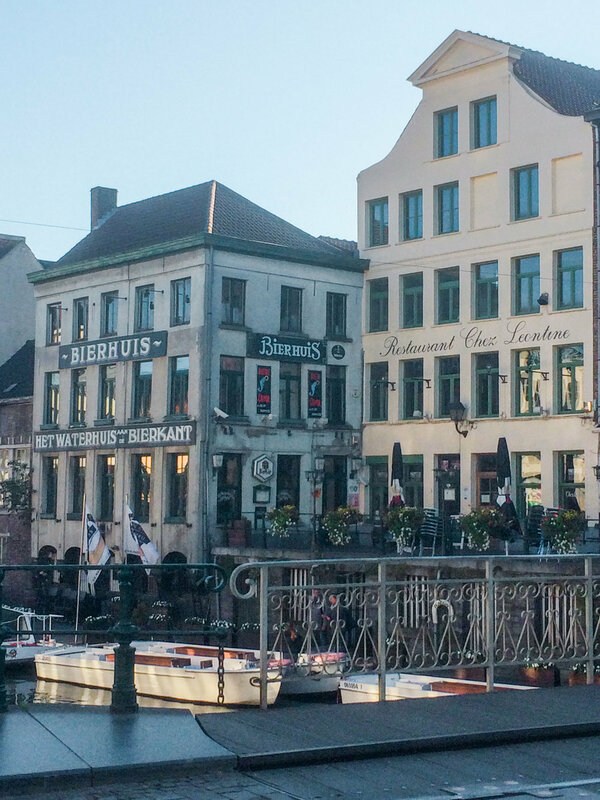 I journeyed to Ghent in the fall of 2015, and my boyfriend and I visited because it was less than an hour train ride from Brussels (where he often went for work) and because it was voted one of the most romantic cities in the world. 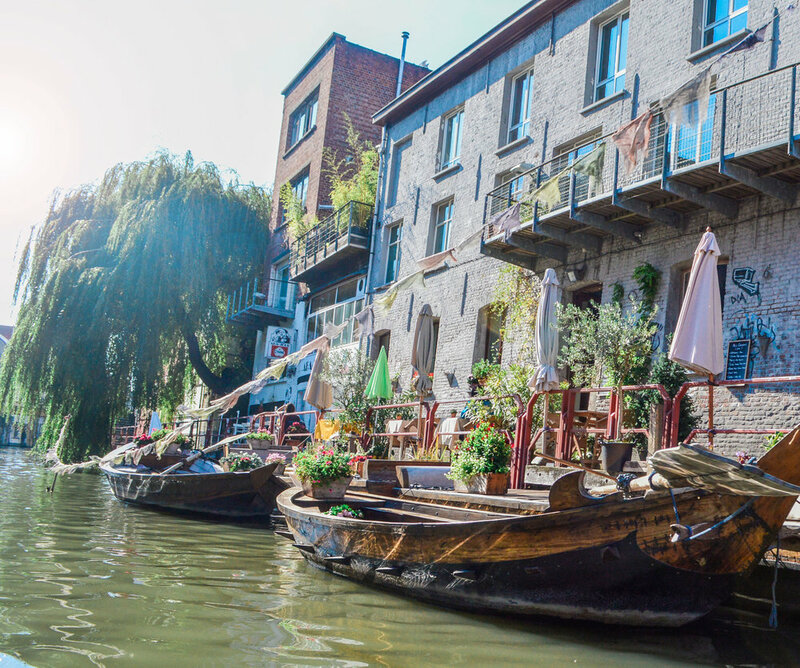 One of the most romantic things (besides the architecture) was the Leie River that goes through the city of Ghent. We took an English-speaking boat tour and cruised by charming shops and restaurants with overflowing flower boxes under the windows. Strolling along the cobblestone streets you see sights like this; quaint little buildings, each with their own interesting history. If you're a museum or art buff, there are a ton of places to go and learn more about the city, which was a bustling port city, second only to Paris in the 13th century. The Patershol District of Gent Belgium is where we stayed and is an area that dates back to the Medieval period. It is in this district that Gravensteen Castle sits; a medieval castle complete with a museum on torture methods used in it's history. I took the picture above from our boat tour. Before hopping on the boat, we went in and got our pictures with our necks in the guillotine (morbid, I know). One of the best finds in this city was the "farmer's market" right down the road from the castle. It was here that I had a Finnish dish called Mokaja, which is basically a beef stew. It was hearty and amazing! I also went here for fresh bread, meat and cheese for a breakfast sandwich I pieced together the following day. Ghent was an amazing little detour from Brussels and if you have an extra day or two, a recommended stop. I actually found more to see and do here than in Brussels!